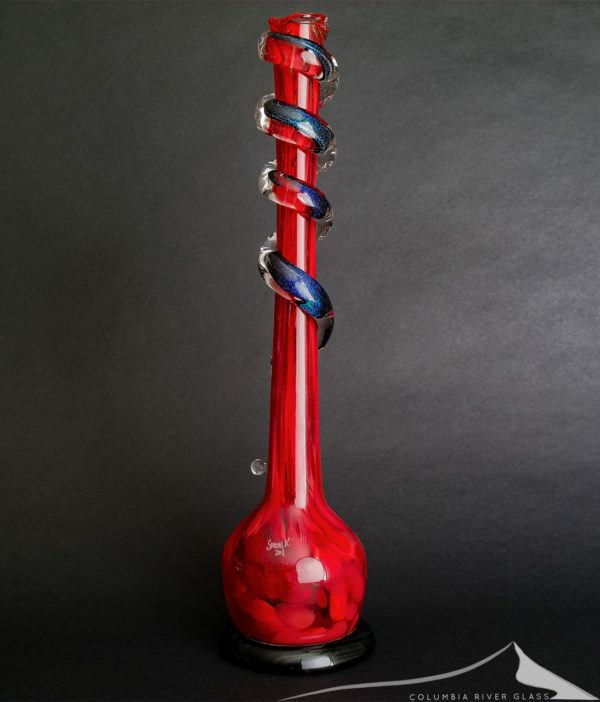 This is Special K’s premiere piece – the fancy large bong. 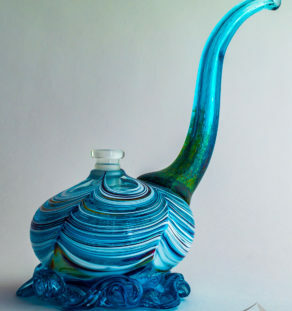 More attention to detail, thicker sculpted wraps, larger bases, and possibly most importantly they are glazed in a coat of clear glass that makes the colors and depth of the piece pop. This is a bright red pull with a dichro wrap that shimmers with purple and blue. 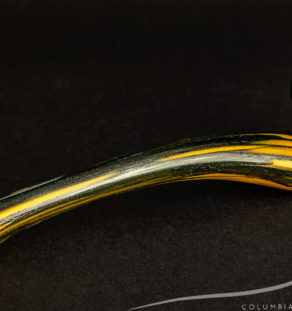 The base looks black in the photos and does in some light, but it’s actually deep green dichro glass in the base and it sparkles in bright light. The thick wrap has gorgeous purple and blue sparkling tones in the dichro which sets the piece off and looks amazing in sunlight! 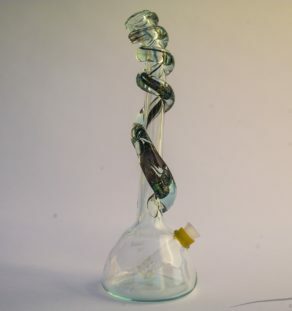 This is a pedestal base in dark green glass and it looks fantastic. 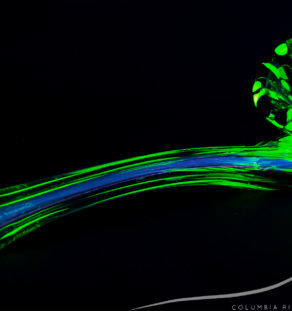 Great function out of a slotted stem. 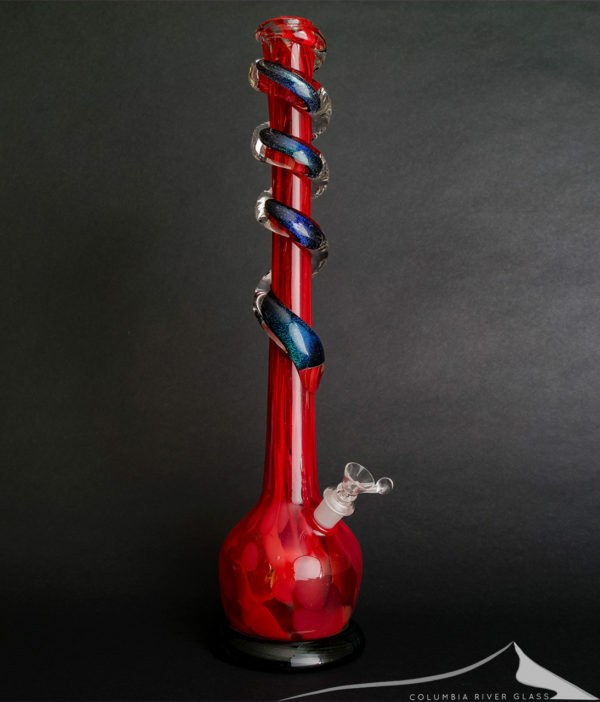 These large fancy bongs are some of the most beautiful pieces we’ve seen from Kris. 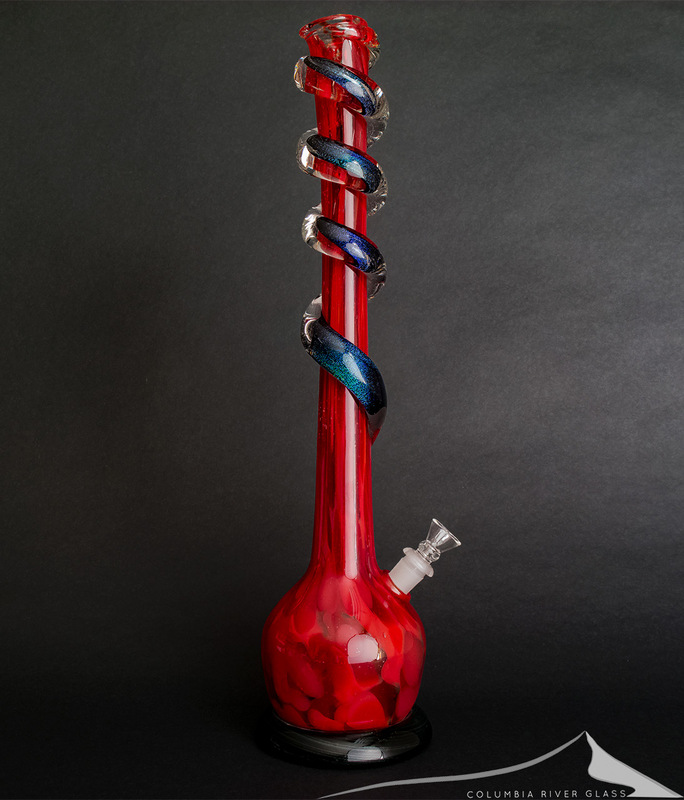 More fantastic soft glass work from Special K and crew!